We’ve all been there. You’ve been working on a month-long project for work, you sit down to put the finishing touches on the presentation the night before it’s due, and you can’t find the file. Or perhaps you can’t seem to find that important email message that could resolve a big issue at the office. As we rely on our Macs to manage our workload and personal information, it’s important we understand how to recover deleted Macintosh files. The first step to locating missing files should be to check in the trash can. Inadvertent keystrokes can accidentally send important files to the trash. A quick glimpse in the trash can be your first step in Apple file recovery. Following these simple steps can have a profound impact on your success. Be as general as possible about the file name. It is better to have too many search results than none at all. Specify searching every drive on the computer. You could have moved the file, or it may be in a different location than you think. By searching the entire computer, you expand your search which will help generate results. Sometimes the file has been permanently deleted or lost. In those instances, data recovery software such as Stellar Phoenix Macintosh Data Recovery should be used. Macintosh Data Recovery is a great data recovery tool for finding and recovering lost emails, files, attachments, photos, videos and more. The program can find files that the operating system can’t locate. This is possible because when you delete a file, it doesn’t actually get removed from the hard drive. Instead the hard drive marks the space that the file is in as available to be written to. So long as no new data has been written to the location of your existing file, the file is still recoverable. If you use the software before Windows uses that section of the hard drive, the space will get marked as unavailable, your file is restored. Every time you do something on your Mac, data is written to the hard drive. The lost file you are trying to recover is at risk of being overwritten with every activity. With this in mind, it is extremely important to stop using the computer immediately! Don’t even power your Mac down. Your next step should be to download Macintosh Data Recovery. 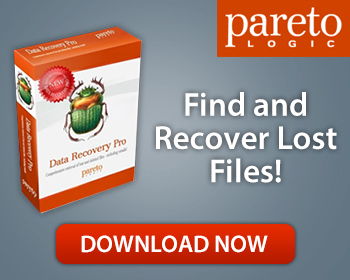 Once installed, use the simple user interface to quickly find and recover deleted Mac files. Stellar Phoenix Macintosh Data Recovery is a valuable tool that no Mac owner should be without. When you can’t find a file in the trash can or through searching the contents of your Mac; use Macintosh Data Recovery to restore deleted Mac files.